Just steps away from St. Joseph Hospital’s postpartum unit, our NICU keeps parents and babies close together in our 13-bed, Level 2 neonatal intensive care unit (NICU). If a problem develops during delivery, CHOC’s neonatal team is immediately available to stabilize the baby and begin treatment as necessary. 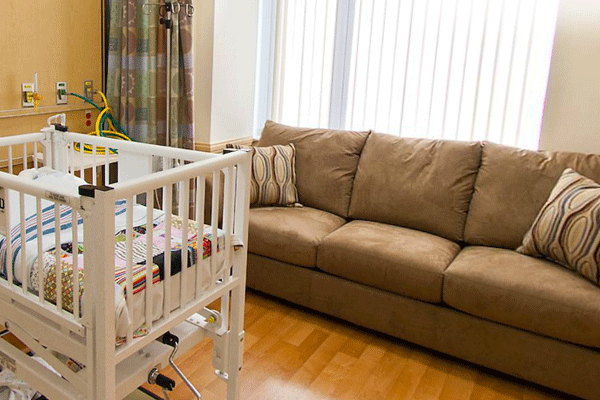 The NICU features all private rooms with spacious accommodations for families. The NICU is staffed by CHOC’s premier team of neonatal experts—and is specially equipped to care for newborns with low to moderate medical needs. The NICU is equipped with sophisticated monitoring equipment that can closely follow baby’s vital functions around the clock—including heartbeat, respiratory status, temperature, blood pressure and even weight. Newborns needing an even higher level of critical tertiary care can be admitted just minutes after birth to CHOC Children’s Level 4 NICU, located next door. Why would my baby need to be in the NICU? Some babies benefit from closer medical attention—especially babies with low birth weight, prematurity, or other conditions needing specialized care. That’s where the NICU comes in. Infants may stay in the NICU anywhere from a day to several weeks. Who are the specialists who would care for my baby? You’ll be glad to know that our team of doctors includes neonatologists (physicians who specialize in high-risk newborn care), a wide range of pediatric specialists, and your baby’s doctor. Experienced and highly-skilled nurses, respiratory therapists, and a host of other healthcare providers are also intimately involved in your child’s care. Throughout your baby’s stay, the CHOC team will keep in close contact with you to keep you involved and informed regarding your baby’s care. Our specialists will make sure that your child’s doctor is also well-informed through frequent contact. That way, when your child leaves the NICU, your doctor is knowledgeable about any special concerns and can answer any questions you may have about your child’s health. Can I hold my baby or visit while he or she is in the NICU? Certainly. In fact, we encourage parents to become active caregivers. Because of its location within St. Joseph hospital, on the same floor at the postpartum unit, it’s easier than ever for parents and babies to stay connected. Can I breastfeed a baby staying in the NICU? We encourage you to breastfeed as soon as possible after delivery to help stimulate milk production. We can also provide a breast pump so that you can still give milk for your baby. If your baby is unable to nurse, he or she will be given nutrients by IV until they are able to nurse. If your baby needs to stay in the hospital for additional care once you are able to go home, we offer flexible visiting hours and overnight accommodations to encourage parent involvement. Is there any help for parents? Of course. We know it’s important to support parents. We know that you are concerned about your baby. For that reason, nurses, social workers, lactation specialists and others are all there to help you and answer any questions you may have about your newborn. Take a virtual tour of the CHOC Children’s NICU at St. Joseph Hospital, which has 13 beds for babies who need treatment immediately after birth. The NICU features an innovative camera system that allows families to watch live 24/7 secure video streaming of their baby. Take a virtual tour. 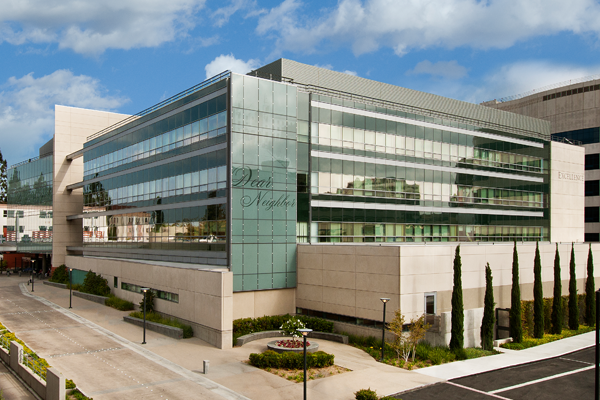 For more than 50 years, CHOC Children’s and St. Joseph Hospital have partnered to serve the health care needs of families in Orange County. The CHOC Children’s NICU at St. Joseph Hospital is an exciting collaboration—delivering the highest quality neonatal and mother-baby services in the region. The close collaboration between CHOC and St. Joseph also has led to improved outcomes for premature babies and babies with very low birth weights. When babies are born weighing less than 1,500 grams or before 29 weeks, they are at risk for major complications such as chronic lung disease, severe retinopathy of prematurity, severe bleeding of the brain, necrotizing enterocolitis and nosocomial infections. These babies who are cared for at CHOC after being born at St. Joseph are more likely to survive without long-term complications than at any other hospital in California, according to data collected by the California Perinatal Quality Care Collaborative (CPQCC) for 2011-13. During that period, CHOC reported the highest intact survival rate: 71.7 percent compared to an average 62.4 percent rate among other NICUs in the state. To learn more, call (714) 509-9820. For more about maternity services at St. Joseph Hospital, visit www.sjo.org/maternity.